This remarkable vitamin has been found to prevent and treat just about every disease and ailment on the planet. And high cholesterol and heart disease can certainly be added to the list! Vitamin D is an essential nutrient, and if your body isn’t receiving enough it will basically “pump up” your cholesterol level so it can convert as much cholesterol as possible into the active form of vitamin D. So making sure you receive an adequate amount of vitamin D everyday is absolutely crucial to keeping your cholesterol levels within the normal range. The RDA of 400 IU’s of vitamin D every day is ridiculous and far too low to lower cholesterol in the blood. Most health experts are now prescribing dosages in the range of 4,000-8,000 IU’s per day.... 8000 IU's of Vitamin D Daily Necessary to Raise Blood Levels of "Miracle" Nutrient, Declares Groundbreaking New Research. Coupled with regular sunshine (the sun makes the body produce vitamin D) you'll find that vitamin D supplementation is one of the most potent treatments for high cholesterol in existence! 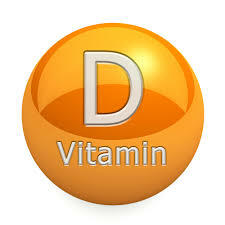 Vitamin D – reduces heart disease risk in women. It was reported at the 42nd annual conference on Cardiovascular Disease and Epidemiology Prevention that women who take vitamin D supplements lowered their risk of death from heart disease by one-third. The finding was an unexpected dividend extracted from an osteoporosis trial to determine the incidence of bone fracture in nearly 10,000 older women. Low vitamin D levels may also increase the risk of atherosclerosis. Research suggests that a low level of vitamin D increases the risk of calcium build-up in atherosclerotic plaques, and that higher levels reduce the risk of build up. Researchers at UCLA School of Medicine measured the vitamin D levels in the blood of 173 men and women at risk of heart disease and also measured the build-up of calcium in coronary arteries (a common finding in coronary artery disease). The results suggest that calcium may regulate calcium deposition in the arteries as well as in the bone. Poor vitamin D status has been linked to increase risk of breast, prostate and colon cancers, osteoporosis and other bone disorders, Type 1 diabetes, arthritis, infertility, PMS, chronic fatigue and depression, Seasonal Affective Disorder, multiple sclerosis, musculoskeletal pain, and heart disease. Ironically, the few foods that contain vitamin D are mostly items that have fallen out of favour thanks to orthodoxy’s fanatical anti-fat and cholesterol campaign, such as cod liver oil, butter, whole milk, liver and egg yolks. Men who are deficient in vitamin D were found to have more than double the normal risk of suffering a heart attack or dying even after all other possible risk factors such as hypertension, obesity and high levels of blood fat were excluded. Populations in northern countries (with less intense sunlight and lower levels of vitamin D) have higher numbers of heart disease than sun-filled southern countries. In addition, more heart attacks occur in the winter months, when sunlight is scarce. Low calcium and vitamin D intake has been linked to stroke. Researchers compared the diets of thirty-five women who have had strokes accompanied by no history of high blood pressure or heart disease, with the diets of women who have never had strokes. Results indicate that the healthy women’s diets contained 38 percent more vitamin D and 17 percent more calcium than those of the stroke victims.